This opener, like the other small range openers, uses our standard hydraulic cylinder. As with the Univent® opener, installation of more powerful springs is very easy. 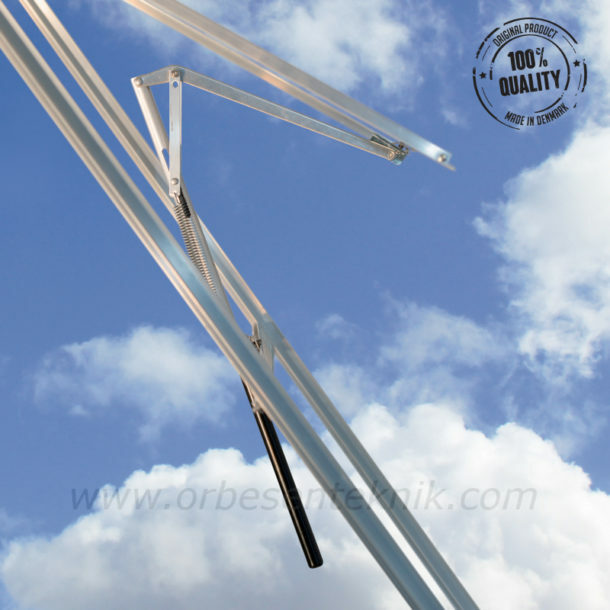 This is applicable in operation of lightweight window or if the windows are installed vertically. In these situations, the closing of the window will only have little or no assistance from the weight of the window. Other springs can be purchased in our webshop. 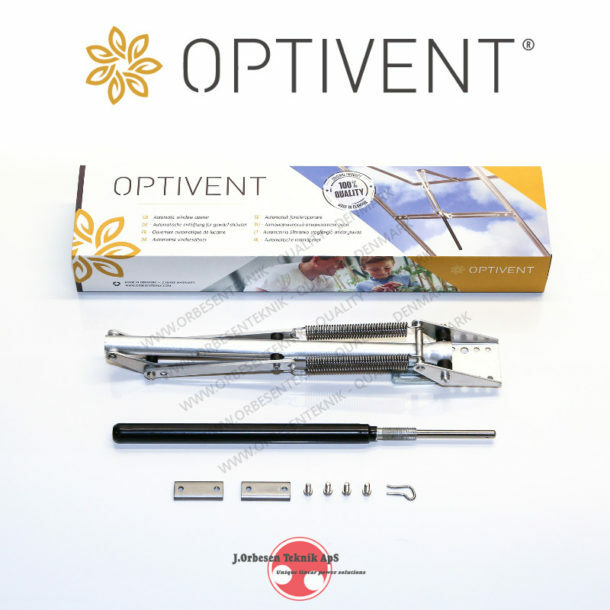 The design of the opener makes it very easy to adjust the temperature where the opener begins to open the window, thus give your plants the optimum surrounding temperature. This nice feature is built into the tread already used to install the hydraulic cylinder in the opener. 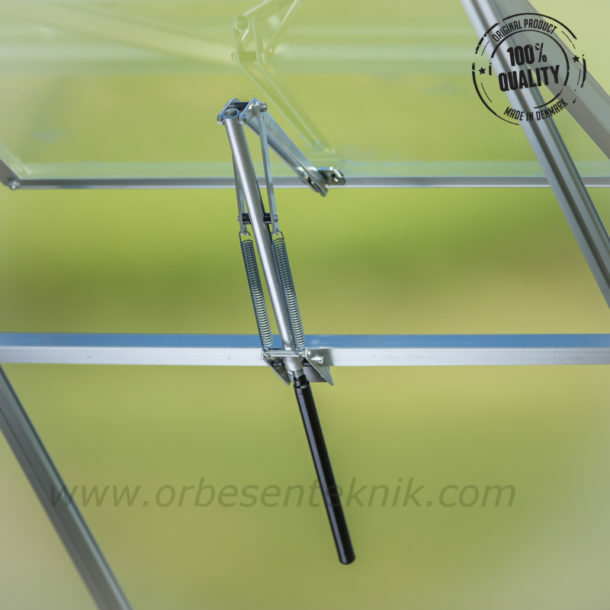 To increase the reliability of the opener, it is designed so that the hydraulic cylinder always will be inside the greenhouse no matter the position of the window. Thereby the opener will react on the surrounding temperature inside the greenhouse. If it were reacting on the lower outside temperature, the opener might not open which would result in a much too high temperature inside the greenhouse. a) Depending on the type of springs installed. b) The weight of the window will assisit the spring force in the closing, and should be added to the given closing force. c) Depending on adjustment and load on the opener gives a higher maximum opening temperature. d) Custom colors available for an additional cost.